I like the system built in to the service. I feel nothing is missed because each time I come to Valvoline, the service people do things the same way. I just relocated from Montana to California. Didn’t know where to have my car oil change. My daughter recommended me to your place. I will not go anywhere else for my oil change service. Outstanding customer service. They explained to me what they’re doing. My tired needed more air and they took care of it. Trustworthy and affordable prices. I am very happy with my visit. See you next visit. Quick service. Friendly and knowledgeable technician. The staff was friendly, efficient, courteous and knowledgeable. I always have great customer service. Quick, no pressure, nice 20% coupon made service competitive. Excellent service. Manager was able to change an in-cabin filter no one has been able to change for years. He was able to because he simply knew how to do it. I get my oil changed every 3K miles and follow the sticker they put in the window. When I went in for the service they told me with the type of oil I use I could go up to 5K miles. That was the first time I was told that at Valvoline. The service rep was extremely helpful. Plain and simple THEY WERE AWESOME! Quick service. Place was busy and still service was completed very quick. Quick professional oil change and checks on filters, lights, tire pressure, and recommendations on upcoming service based on car model and year. Friendly and open staff, solid software system and procedures that create trustworthy and open honest service. With profile history of one's car and service history on screen, this also offers personalized service needed. no brainer choice for consumers. Always quick and easy here. It was so easy and the advisor didn’t try to upsell me on anything. I drive a lot and get frequent oil changes, but i also stay on top of all the things my car needs for maintenance and therefore know what i need and what i don’t. Not being pressured into buying other services is much appreciated! I have worked in the automotive industry for a manufacturer for over 26 years. Transmission flushes are not usually needed, and selling unneeded fluid exchanges is a major cause of dissatisfaction in the industry, both at the dealer and IRF level. Well now that I have been to other places for Oil changes" I don't get charge for the rotation of my tires or adding other fluids (windshield). Justin (?) was very professional, knowledgeable and friendly. The service was quick and efficient. Every time I have brought my vehicle in, I have received nothing but professionalism and courtesy from the staff. Even when I have rejected additional services, the staff is just as friendly as before. I only go to this location - even though there is one just over a mile from my house and this one is over 15 miles away. Service person (a woman) was very friendly and professioanl. She made me feel at ease and was highly efficient and thorough. I liked her alot and will continure to visit this facility. Speed, efficiency, courtesy, price, location all very good. Fast friendly service, every time. Clean & looked like a well kept facility. Efficient , polite staff . Explained things in such away that I could understand ,such as showing me the battery test results which clearly showed I needed a new Battery . Helping me feel comfortable to the decision to have them install & purchase a new one . Same thing when they showed me the filters . Great people, great service and super quick. Not quite as bad as it used to be, but the sales pitch for overpriced and unnecessary extras is always annoying. It was fast and they didn't jerk me around with upgrades. The service is so fast and the staff is extremely courteous and friendly. I have used this service multiple times before and every time I leave very satisfied with my service. The staff is always friendly and courteous. Although they may recommend extra services, they are not pushy about it. I'm always in and out within 15-20 mins. I'll never go anywhere else! The individuals that worked on my car were knowledgeable and very good at sharing that knowledge so I felt like I was making an informed decision. They did not pressure services but rather advised. They worked diligently and informed me at any decision point of the options. They were all experts in their craft and performed as such. Got in quickly. Team was friendly and efficient. In and out in ten minutes.Used the 15% off coupon. The representative was extremely friendly and helpful, didn’t push anything too hard. He even suggested the cheaper oil change. He was nice when I wasn’t sure about the extra services and told me which ones they were so I could do a little research on my own. There were a couple cute workers too, so that made it easier... very fast service, i didn’t even have to wait to pull in. Will be coming back as long as the price stays competitive. Friendly staff at this particular site. Extremely Scary staff member at your Doheny Site. Great Manager, Good job from my technician " James " ! Amazing and quick service. All employees were very kind and patient. Especially with all the questions I had. Thank you! Staff was professional, courteous, knowledgeable and thorough.Honestly, they always are that’s why I alway come back.Keep up the good work. Staff was fast and friendly. "Team " effort to perform safety check (lights, tires etc.) with my participation in an excellent method to gain my trust. I’ve been to a few Valvoline’s all over but this was my first time at this location. My favorite one now. I felt the guys were honest with their recommendations which I appreciate because I don’t have the money to spend on unnecessary things. Overall friendly great customer service. Thank you! Friendly, fast, efficient service plus they let me use a coupon twice as I brought 2 cars to in that day. I noticed on the invoice on the techs computer it was noted that there was a small oil leak, yet nobody informed me at all. I very well could have read that incorrectly or maybe it was an old note, still a bit concerning. Overall it’s a great place and I will return. I was in and out so quickly that I wasn't sure it was actually completed.Very professional staff. I always receive great ~ knowledgeable ~ polite and fabulous undivided attention from the moment I arrive with my vehicle ~ until my service is completed. One of the best fines ever when I ran across Valvoline years ago!! I share with others often about my positive experience!! !Thank you Valvoline!!! People were friendly and no pressure for additional services. I been going to the San Clemente Location, because of the great and friendly service. They do a wonderful job and never had any issues. So quick and efficient. Also they put in a oil additive for me that I purchased elsewhere. The guys usually reset my oil life indicator back to 100% and this time they forgot so I am having to figure it out. Just the little things between highly satisfied and satisfied. Price is way to high for 10.4 quarts of oil. That’s not competitive pricing. That was very exspensive. For all the reasons I checked "highly satisfied" on this survey. The guys were friendly, knowledgeable, efficient and didn't fool around which made me feel like I was in the right place. I've been using Valvoline for years at this same location and have no reason to switch. Staff was friendly, fast, and efficient. I usually dread getting an oil change as it’s lengthy and I have two young children. Valvoline changed my opinion about the process. All the Gentlemen helping we were very friendly and knowledgeable. The worked quickly for my oil change and offered tire rotation, which I greatly needed. I will definitely come back to this location and drive the 60 miles to do so. I got exactly what I was looking for, but nothing about the service stood out as highly satisfying. This valvoline was the same as others that I have been to and is perfectly fine. I always compare cost at Valvoline with changing the oil myself as I used to. The service that I receive is customer service oriented, clean, thorough and friendly. Staff were courteous, respectful and professional in their performance. They seemed knowledgeable about the needs of my vehicle without being overly persuasive about presenting new equipment items. I have visited this site before and received the same level of service. I love that I was given recommendations of what to have done on my car, but not an ounce of pressure to do it right then and there. They just informed me on what they suggested and why and then left it totally up to me. That is probably the thing I love most about Valvoline is the honesty. The shop I used to go to once tried to charge me $1000 for an AC fix that I ended up fixing myself with a $6 part. I don’t feel like that would ever happen here at Valvoline. You guys are awesome thank you! Always a great experience at the pico location. I dealt with 3 different men during the visit and all were clean, helpful, intelligent and respectful. Reliable and quality work. What more could someone ask for. They where very fast, professional, and thorough! I own the Always Inn Bed & Breakfast in downtown San Clemente and have been bringing my automobiles to this Valvoline for years. Highly recommend it to my friends, neighbors and guests. I like the convenience of this location. There was a steady crew working there that I got to know and trust and they knew my car. There been a few personnel changes and I'm feeling out the new crew. They seem to be ok. I'll see if they are the same team when I return for oil change. the men helping me were nice and i believe were honest. this has been my second time at this valvoline, and both times were good experiences. The person who administered my oil change was very condescending and it was an entirely bad experience. Of course it is always uncomfortable having any kind of car repair or maintenance as a woman, but this person in particular treated me like a child. Amongst other things, he told me I should get my air filter changed when it was basically new already, so I politely declined. When he handed me my invoice he told me he didn’t tell me about the other services they offer because I “didn’t seem interested” but that “I may suddenly be interested when I’m broken down on the side of the road.” Then when I asked for him to turn off the maintenance required light, he gave me a lecture about how “the magic genie light is important and I shouldn’t ignore it or bad things will happen. It’s not like an Instagram like button.” I have gone to valvoline to get my oil change many times before and never had such a patronizing experience. All I’m asking for is to be treated fairly when I get my oil changed. It was fast. They checked all of my tire pressures which was great. I normally change my own oil and it costs me around $30. I didnt mind paying $49 because it was so convenient. I loved how they shower me my dipstick after they were done. I usually use the car’s dealership because I know I’ll get a thorough inspection. You were just as thorough without the wait. Thanks! Always quick, efficient, and great will follow up maintenance recommendations. Very efficient, courteous and not pushy to sell. I told them at the start that I didn't want an air filter so that saved the guy trying to sell me an 8 dollar air filter for 30 dollars. Usually, the tech is friendly and explains everything clearly. This time, I felt like cattle while the tech just went through the motions. I did not like how tossed part of the engine cover onto my fender, and he recklessly removed the round clips to remove panels. He told me the charges, but did not show me the invoice this time. It was fast. I did not have to get out of the car. The staff was friendly and courteous. Provided the needed transmission oil change in a timely and professional manner. Your team did a great job of getting my oil changed and tires rotated in a speedy manner. The service representative was great and everything happened very quickly. I would be more likely to visit this particular location in the future if it was closer to where I live. I am always very satisfied with the service I receive, but this visit went particularly well. The technicians listened to me and helped solve my chronic windshield wiper problem, that others have been unsuccessful with. Expensive compared to other companies who do the exact same type of service. I've had my oil changed at this Valvoline location since i moved to the area 5 years ago and I have always had good service. The employees have good attitudes, they don't treat you like you're stupid when you aren't familiar with something and when they recommend services I do not feel pressured. I also appreciate that I always get a coupon, so I get some sort of discount on my service. The only thing that is not highly satisfying is the cost of the visit. The crew were respectful and polite. They made sure I understood what was happening and what I needed. I appreciate that as someone who isn’t as familiar with cars. 'Twas all that one should expect, they did their job efficiently and timely. I had to wait to be helped, it wasn’t something I was upset about, but it wasn’t instant. Overall I am satisfied. Staff was very informative and helpful. Extremely knowledgeable and friendly. I will only go to Valvoline! San Clemente is my favorite, but all are great service. Always quickly taken care of and the staff is very friendly, but get their jobs done. I called before arriving and was quoted a price that the people at the station said they could not give me. They explained that the call had gone to some service center and not to that local shop. So that was disappointing. I was not in the mood to argue but it was very misleading. The Assistant Manager, Savannah, took charge of the process from waving me into the dock, to waving me out as I left. She was very friendly, communicated quite well with her co-workers, showed me the various choices for oil type and explained her recommendations for future services (which I declined during my visit due to time constraints that day). After it was determined that one of my break lights was out, Savannah pointed out to her coworkers that it was a little more difficult to access and that extra care should be taken. (The light was part of the rear trunk area.) All the technicians worked quickly and I was out of there in a relatively short amount of time. I will definitely be returning for my next oil change and I will also be attending to the recommendations Savannah made at that time. It was a great experience overall. Thank you. Fast and friendly. I’ve had many services there before and I’d go back. Fast. Knowledgeable staff. No pressure but offered additional services. I didn’t have to wait, I was immediately taken in for service. Everyone was very polite & efficient & finished the job in record time. I will continue to come to this Valvoline for future services. Friendly crew. No pressure to purchase additional items or services. And, I liked the 20% Labor Day savings promotion! This complaint is only about price. The service and professionalism of the technicians are always excellent. I got a 20% off coupon and still ended paying the same price I paid the last time. I got home and did a quick survey of local businesses offering the same type, synthetic oil change and found a couple that were at least 40% less than your regular price. It seems that you inflate your prices then offer a 20% discount which ends up being more than other companies offer. I will be taking my business elsewhere and save over Valvoline. As always, the techs were friendly & proffesional. friendly, quick and efficient. great as always! No chairs in the waiting room.Cost could be lower compared to other options. Have been going here for years. Always efficient and thorough. Very convenient for oil change and tire rotation. I liked that I did not have to wait 2 hours for a simple oil change. When I called to get pricing, the operator offered a coupon which helped me decide to use Valvoline. I had a very bad past experience before at another Valvoline store, but I decided to try once more since it was close by and it was for my parents car. It worked out very nicely this time. Excellent service, very quick. The gentleman that helped me was Robert, he was very respectful and knowledgeable. They were quick and we did not have to wait at all. I am writing in regards to my visit prior to the one in question. I never received a survey for my visit of July 16th. I was very dissatisfied with the young lady did the initial intake of my mileage. She jumped in front of my vehicle and over the pit while I was being guided and moving forward towards the guide. She told me to stop where I was. I could have ran her over. I was in disbelief that that happened. The person that was guiding me advised her that there was still room and I still had to move forward. She then asked me what my mileage was since my display lights were out and mileage was not on display. I told her it was less than what she wrote on the record.Im still in disbelief that she jumped in front of my vehicle as I was being guided over the pit. Always friendly and know what their doing. Customer service was great and was in and out within only ten minutes. You guys are awesome! Quickest oil change ever. Reasonably priced. I also love how they walked me through each step of the way and that they explained each thing they were doing. Thank you and I will be coming back! Quick, friendly service - great staff! Courteous knowledgeable crew that cared about satisfying the customer, ME!!! this last time was awesome! It was a fast service! I was in and out with no hassle. Great service! Was happy to NOT see the rude mouthy girl who swears non stop and works down below. Friendly staff and only small recommendations on top of the oil change. Every time I go there, I’m dealt with in a highly professional way and always impressed by their teamwork, efficiency and quickness. Manager who helped me was knowledgeable and was not pushy about extra services. He seemed like he really wanted to help me get car professionally serviced and save time and money. My experience was good. Quick and friendly service, best place to get oil changed!! The service center did not carry the specific oil weight that was recommended by my manufacturer. It was odd sitting in my car while it was being worked on. Service was fast and did a full check of my vehicle. Highly recommend this service to anyone. Service is great! Workers are polite and professional. I dont Have to haul my 4 children out of the vehicle for an oil change. Makes me a happy momma. Friendly, efficient staff. No wait time. Always highly satisfied when going there! Staff is courteous, friendly, professional, and knowledgeable. They try to tell me what my vecihle needs based on the miles and manufacture's service needs. San Clemente shop ROCKS!! Keep up the great work! The service was fast, courteous, and professional. I felt that I was given clear information about my vehicle and services offered without being pressured to make any purchases beyond the scope of my visit. The staff was amazing! Explained everything they were doing...did t try to sell me on things I didn’t need for the car. They were extremely professional! The staff was friendly, timely, efficient, and answered my questions. John A. waited on us and was very polite and knowledgeable. The staff was knowledgeable and extremely courteous and helpful.. They listened and answered any questions while being coached instead of dodging questions that helped me understand what needed to be done to my car. They made you feel in control instead of being at the mercy of the mechanics knowledge. The facility, staff, service is very professional and that is very hard to find in this industry. I have been coming to this facility for years and will continue to be a patron. outstanding service in all respects and Vinh who handled my order was outstanding. Very courteous. I didn’t have to wait in line and was in and out very quickly. Quick and efficient. I need a copy of my receipt emailed to me though. Because it is fast and they always give you information about your car needs and the people are great. Been using this location for a couple of years and have always received excellent service. Very convenient also to my address. Fastest oil change available for a competitive price. Employees are very nice and professional. Hardly any wait times at this location. I was amazed at how quickly 6-7 service categories were completed. The staff was very courteous and appeared quite competent. We can always count on your staff to be diligent, thorough, friendly, professional, and service oriented. The men and women of this particular location are very knowledgeable, very fast and always recommend solutions for your car, but never come across as pushy. They are very professional and are capable of handling several customers at once. I've always had good experiences at this location. Always have great customer service and they always work quickly. Very professional and knowledgeable. Service was quick. All the techs were friendly and knowledgeable and I enjoyed talking with them. They were courteous throughout the entire session. Makes it nice to be treated well as a customer. Before I retired, I worked in customer service for 45 years so I know what it takes to be a good representative of your employer and your guys did it well. Thank you. The employees were courteous, knowledgeable and professional. Professional, quick, and helpful. Great guys. the representative was great. I didn't exactly get an oil change this time. I had them flush the radiator fluid, and then do the transmission fluid. overall received a great job, but it was more expensive than I anticipated. I have used Valvoline shops for years. I needed an oil change and I got it. I'm satisfied. Fast, friendly, helpful. Very knowledgeable, even let me know I had a small oil leak and where. I love valvoline! They talked through it with me the entire process and were very descriptive on everything that they were doing. Quick in, quick out. Competant attendant, no hassle. The fact that I got in and out of there in less than 20 minutes never got out of my truck and the guys we're very nice and good at what they do. Just great customer service and the speed. I checked everything when I got home and they did exactly what I would have but saved me a lot of time. Thank folks, I’ll be back! The guys are always friendly and knowledgeable. It’s quick and I stay in my car. Nothing better! Prompt service, courteous staff, great location. Lovely young woman manager seemed to really know what she was doing. 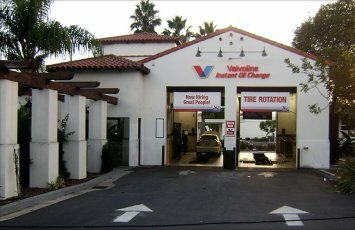 i could go to cheaper oil change places, but i always go to the San Clemente Valvoline because of your wonderful staff and the way they treat me. Friendly, professional and trustworthy. The people were great. Service was perfect. What else to say? Your oil changes are significantly more expensive than other local oil change places. I will not come back only because of the price. It is not even competitive with places like Walmart and Jiffy Lube. And yes, you do have coupons, but for $5 off.. Not worth it. My truck takes more oil than that standard car engine. The additional cost of the extra 2 quarts of oil was the reason I was not highly satisfied. Fast, honest and to the point! Friendly staff. Fast service. Extremely through. It is my second visit and the technitians were different and yet, both were extremely professional and I received quick and excellent service. Communication about what was going on and what might be needed was concise and clear. My tire light is on and won’t go out. Wrong I was totally satisfied! Everyone was super kind to my young, very interested, son who had lots of questions... Thank you! 1. The attendant didn't ask if we had any VIOC coupons as in the past times.2. The most annoying and costly complaint is the tech allowed all the old oil to pool in the skid pan. The vehicle was parked in our new driveway and a basketball size oil stain in on my driveway!!3. This is complete laziness or pathetic lack of training and disconcern of customer experience.4. I would expect the manager to address this problem and be interested in remedy this with me. Great customer service. Job done quickly. The crew seems disorganized and lacked coordination as to who was going to do what? The service was great! I thought the price of the oil change was much higher than those at dealerships (around $30), and they typically wash your car. That is all that was not highly satisfied. Wonderful and knowledgeable employees. Made me feel that my car and myself were being well taken care of ! Great customer serviceStaff very nice and knowledgeable.Fast complete service. Great employees at Valvoline on Pico in San Clemente! Hard working informative. Good jog Guys and Thank You! It was fast. They looked at a lot of different things on my van. Price was good, they used my discount that you sent me.🤠 All was great.. Minimal wait time. In and out quickly and explained what they did. The service tech was very, very professional and friendly. He was knowledgeable and explained the products and services well. As a result, I upgraded my oil selection and invested more in the service. Good, fast service. Friendly knowledgeable staff. And several women on staff. The woman that assisted me was very nice, knowledgeable and explained things for me! I don’t usually fill out surveys, but iyours was a really smooth operation. It’s not a deal, but the quality and professionalism made it worth it. I’ll be back. I called to inquire about the price and the receptionist offered the discount which was really great. She advised me to come a little later which I did and there was no problem getting in which was cool. Super quick and friendly staff. Convenient location. Thorough work. Friendly Staff, informed, and... Efficient ! GOOD VALUE !! Upselling efforts seemed to be stronger than usual. I felt like I had to run through a gantlet just to get my oil changed. I think I had to say no about a dozen times. thank you so much you are always so accommodating and kind! The people were very friendly! Price was communicated and I had no issues. I received exactly what i went in for quickly with no hassle. Very friendly staff. Very informative as to the maintenance needs of my car and which needs Valvoline can meet, and at what prices. Everything was very upfront. Now I'll just see how well my car keeps running. I brought my own oil and filter, and paid solely for the labor of the oil change. I feel like the price was a little high, considering I brought my own oil and filter. I use this service location almost every time I need an oil change. Generally there is a wait as they are in a good location right off the freeway. Waiting has never been very long in either case. This particular time there were no cars at all in line or in the bays. I pulled up and was immediately directed into the bay. It felt like I was a NASCAR driver pulling in. The entire team jumped into action. Above and below. I was in and out in very short order. Very satisfied. Friendly, knowledgeable staff and affordable price. Also convenient. All no-nonsense and professional. None of the, "What do you have planned for your day" etc. That's fine, but not the right context. These guys (and gal) were focused, intent, and thorough. A+ It's why we all come here. The service is great with how busy this location is. It was the best service I have ever receive while getting my oil changed. I have never had an oil change happen so quickly nor been treated so nicely. I used to go to the Easy Lube shop at this location before Valvoline took over. The Easy Lube guys would wash the windows and do some other services that Valvoline does not offer with their oil change service.However, no complaints about the staff, especially the manager, the service rep. and, Vince, the final payment rep.
I’m extremely satisfied with my visit. The staff all worked extremely well and efficiently together. They seem to have great communication throughout the shop. I’ve recommended this place to several friends already and some have already been. One individual by the name Vince stood out to me. He was very knowledgeable, communicated with me exceptional well, and went out of his way to show me the filter. It’s individuals like that, that keep a business running. And it’s because of Vince that I’ll be returning to that location for my next oil change. The staff was great and friendly. They were quick. The Technicians were friendly, courteous, and knowledgable. Everyone didn’t their jobs in a quick, professional and kind manner. They were fun and friendly and explained everything to me. They went over the car's history and told me what would be recommended, but no pressure. I loved the 20% off coupon!!!!! Too expensive. I know the cost difference between synthetic oil and conventional oil. I don't know how Valvoline justifies the extreme price difference for a synthetic oil change versus conventional. A full synthetic oil change costs over $130 for my car (9.1 quartz). So I use the synthetic blend, which was still $106. Even if the oil alone costs $60, why does the full synthetic oil change service cost $70 more that that? Easy, convenient and done quickly without ever having to get out of my car. Every time I have been to the San Clemente Valvoline location, I am even more impressed than previous visit. The employees are friendly, professional and knowledgeable. I couldn’t ask for more. The staff member clearly explained what each service was and what he recommended based on my car's history. Simple, fast and courteous and not a lot of overselling of extra stuff, like Jiffy Lube. I payed over $120.00 for an oil change. Also your computers should show I already got an air filter replaced last time I came in yet they tried to sell me an air filter. I had a coupon for 20% discount. It is not clear on the receipt that I received the discount. I know the team there, they are always consistently friendly and informative on all they are doing/recommendations on what needs to be done. Oil change was done fast and was told everything that was going to happen before they did it. Feel it's a fair price for the service given. An emailed coupon brought me in.Quick service.There is usually only a 0 or 1 car wait.They fill up fluids and air up tires gratis.No pressure to purchase additional services.Great people work at my Valviline Oil Change place. Quick, friendly service at a decent price. The staff is excellent, communicates well, and have repeatable processes. I really like that the service is fast and efficient and is consistent visit-to-visit. Staff was quick, efficient, friendly and informed but did not pressure additional services. Very pleased with the experience. Vince was very thorough & exceptional customer service. I hope they get the recognition there. We are repeat customers. This is the third time I've used this location and two times I have had Justin as the top vehicle service representative. This guy has such a good vibe about him, knows how to talk to service members around the area that come to this facility and it makes you feel welcomed. The guy is doing great work for Valvoline and represents the company very well. Give this man a raise! Excellent staff, prompt, professional, courteous. This is why I ALWAYS recommend the SAN CLEMENTE VALVOLINE to family & friends because Your staff is the BEST PERIOD! Customer service was great! The staff was very friendly and quick. I left feeling confident that my vehicle was taken care of and was happy with the price. the crew was quick and efficient; I was in and out in a short period of time. grea service, fast turnaround. expensive but takes the hassle out of changing my oil. i use valvoline instant oil change for every other oil change. Great customer skills by my technician who was knowledgeable and friendly! I drive out of my way to go to this location. The techs are better overall compared to the other locations I have been to. I had been waiting at Firestone for an hour and a half for an oil change (with an appointment) and they hadn’t even gotten to my car yet. I asked one of my friends where she went to get her oil changed and she told me Valvoline. I left and headed immediately to Valvoline, was in and out in about ten minutes. My son didn’t have to leave his car seat and we didn’t have to wait for service, so I will definitely be returning for all future oil changes. Not to mention the staff were some of the nicest men I’d ever met in customer service!! The guy was very friendly and the service was quick. Great staff, not pushing to upscale anything. They took the time to make sure I got what I wanted. They pointed out that I would get a greater discount with my military discount over the coupon, but I wanted to use the promotion code for the cancer event. I will be back and tell all my friends. The personnel were friendly and efficient.. Deliberate, not wasting any time. Efficient. Pricing is high. Competitors are regularly offering the oil change for $30. Valvoline charges $50. Great vibes and eye contact during customer service. Gentlemanly conduct and respectful communication Grateful to have this as a local business. Impression of a Great crew that seemed to work as an effective team! Only had to wait outside because I was there before they opened. Have used this location several times and am always very pleased with their professionalism. I just want an oil change. The staff was fine, but your process that requires them to push all the different services (other filters, tire rotation, transmission service, radiator flush, etc.) makes it feel like a high-pressure time share presentation. I am always impressed with the friendly staff and quick service. I've been going for years and will continue to do so! The team was helpful, professional, and all around cared about what I needed. I forgot my coupon at home and the team member who assisted me gladly honored it. He went above and beyond to exceed my expectations. I believe his name was Christian. Everyone who helped was nice and worked quickly. The service took 25 minutes and and it seemed that the technician was new as he had to get someone to help him and I was late to work. I am a repeat customer and probably will return though. Everything was done professional ,smooth ,and fast . Just saw the filter they were using and saw it wasn’t super high quality after changing the oil myself last time. Pretty high price too. Also wanted to overcharge for air filter. The service and professionalism of the San Clemente CA location is overly excellent. They welcome you as family! They are wonderful. I would always use their services at this location!! Excellent in every way!! qucik and easy. and nice staff. I wanted a tire rotation but the station i was at didn't have the lift. I had to wait until the other side (equipped with the lift) freed up before I could get that done. I've been to this location several times. The guys are always courteous and will over communicate if the there is a wait. This visit went really quick and they always answer my questions. It took to long and the worker kept trying to sell me extra stuff which was uncomfortable. The staff was friendly and explained to me what needed to be changed and were clear on the pricing. Overall satisfaction! Everything went really smooth except I brought two cars in that day and on my 2010 Ford Fusion 4 cylinder I was charged $2:10 for extra oil? I am pretty sure the car only holds 5 qts? Staff was friendly, courteous, thorough and very knowledgeable. I always use this oil change facility. Staff is professional, courteous, and knowledgeable. It's so easy, brezzy going there and never get out of your vechicle. Been going there for many years and will continue to do so. great, friendly, and informative staff! The cost was more expensive than I anticipated. Quick, easy, knowledgeable staff. Plenty of mechanics to help multiple cars at once with efficiency and attention to detail. Overall the most convenient and trustworthy place to get an oil change. In was in and out in 10 minutes. Everyone was very professional. The only thing that could be improv d on was that the person who checked me in and took my payment talked too fast. It was somewhat difficult to understand everything he said. Other than that, everything was perfect. I never fill out these surveys. This time I felt obligated because everyone on staff were some of the kindest and professional folks I have ever dealt with. Not just at an oil change but at any business establishment. I felt like I was the only customer on the planet. They all took on a role from the girl who did the initial consultation to the gentleman at the very end that took time out to print out some information I had asked for that he did not have to do. FANTASTIC SERVICE! GIVE THEM ALL A RAISE! The whole staff was super friendly form the moment I pulled in! I had my children in the car & they managed to do everything really fast & even though me how to check for my oil for next Time! Quick, efficient, professional, respectful etc. The competence friendliness and respect your staff displayed during the entire experience was Excellent!!! It was my first time getting this type of oil change and the process was extremely convenient! Everyone in the shop was very friendly and professional and I really appreciated the lack of pressure to add services. I would certainly return and recommend others to this location as well. Staff were too fast to perform service. Completed oil change and sent us on our way without us having an opportunity to ask any follow up questions. Service is always great! Nice people very polite. Every thing went well except they forgot to reset the oil setting and I now have a tire indicator light that needs to be reset. Most likely caused by the technician over inflating the tire. I love how easy it is. Sometimes you're so busy with life that its a breathe of fresh air when you find a service like Valvoline Instant Oil change. No appointment. No Hassle. Just pull up and go! Love it! Customer service and friendliness was Excellent ! Very courteous and professional, yet friendly. As a female customer who tends to be apprehensive about car maintenance and repair work, I particularly appreciated the patience and overall "niceness" of the Valvoline staff at the San Clemente location. I also liked the speed and efficiency of the crew, the fact that I never had to even get out of my car and that there was no hard sell of add-ons - only a heads-up of things to watch for in the future. Quick, thorough service is all I ask for, as well as suggestions to other services I "may" need in the future. I received fast service and am pleased with it. I love being able to quickly pull in and out and not have to get out of my car. Everyone is really friendly. The staff was very efficient, polite and respectful. Made me feel good as a new customer. I always go to this same Valvoline. They are always kind and friendly there and they seem very trustworthy and like they know what they're doing! Always a clean work space and always knowledgeable. Thank you! The guys working there were extremely professional and attentive. They were quick and honest. It was quick and there were more than one person waiting on my car. They were all very professional and courteous. Staff is knowledgeable, friendly and fast. Best thing is I never have to get out of my car. Love this place!!! Everyone is always so nice and polite and quick. The manager was doing a great job of keeping the show running. the greetings from the staff was awesome. The employees were very professional and friendly. As always, it was a quick and easy experience. I had a very good experience getting my oil changed. Simple and quick. I like that. Pressured into changing air filter and get gas tank "flushed", when I knew they didn't need it quite yet. I believe every human and business can always do more to improve themselves or the product or services they offer. Staff is friendly, and they are fast. Service was excellent, very courteous employees, there was a small problem with my drain screw, it was stripped, but they fixed it & had me back on the road in no time. I will definitely return for future service. The Staff was Very Friendly, and open about my Car and Service!